Figure 48. Pettersson universal sampling apparatus devised by the Swedish Professor Otto Pettersson. 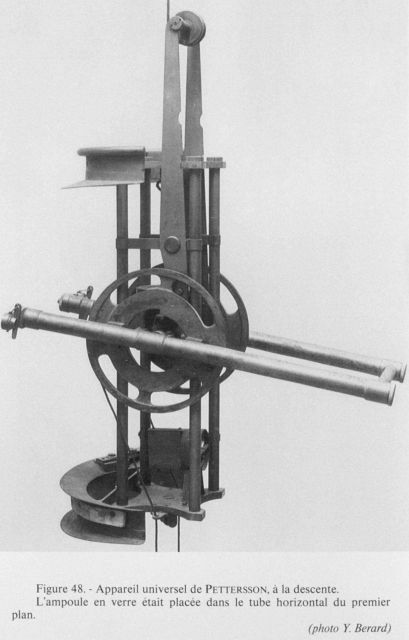 This instrument would sample plankton, measure the temperature of the water, measure the strength and direction of the current, and sample the water. It was first used in the Skagerrak between 30 and 200 meters depth in January 1904 and afterwards in the Baltic Sea.